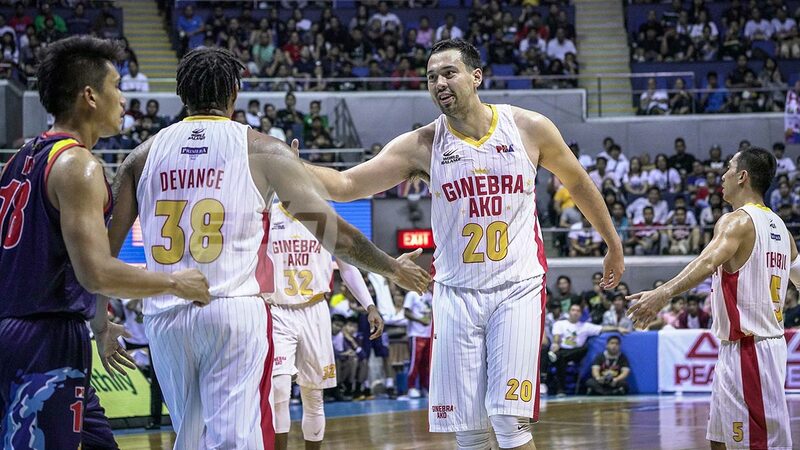 PBA giants Greg Slaughter and June Mar Fajardo are finally set to square off for the first time in a PBA Finals after Ginebra sealed a Commissioner’s Cup title series against defending champion San Miguel on Monday night. Slaughter scored 19 points and grabbed six rebounds in the Gin Kings’ thrilling 96-94 closeout win over Rain or Shine, setting the stage for a much-awaited face-off with his long-time rival in Fajardo. For Slaughter, the best-of-seven finals which kicks off Friday will be more like a trip down memory lane as he reminisces his personal battle with Fajardo dating back from their college days in Cebu. Slaughter, born in Cleveland, Ohio, was a product of University of the Visayas while Fajardo played college ball for University of Cebu. “This is the first time we square off in the finals, and so it brings back good memories of our home in Cebu, where we played and that’s where we’re both from,” said Slaughter after the game. As per Slaughter's recollection, this will be their first finals meeting since UV beat UC for the 2009 Cesafi (Cebu Schools Athletic Foundation Inc) title, although the two of them were adjudged co-MVPs of the tournament. Since then, both have gone on to greater heights. Of the two, the 28-year-old Fajardo had been the more accomplished. He is the first player to win four straight league MVPs, owns six Best Player of the Conference awards, six league championships and two Finals MVP trophies. Despite being hampered by injuries the last two seasons, Slaughter, 30, has had his share of success, winning two championships with the Kings and emerging the Best Player of the Conference in last year’s Governors Cup.